ELLIJAY, Ga. – A single letter. One person’s thoughts is what ultimately led to a recent ceremony by the Board of Education to dedicate the auditorium at Ellijay Elementary School. 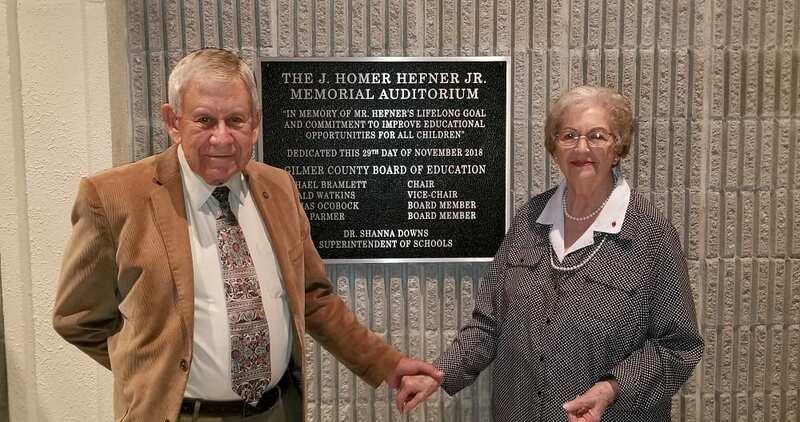 With the idea brought up in the Board’s meetings in recent months, Hefner’s family and the community of Gilmer County joined together to celebrate Hefner’s life and service in education. 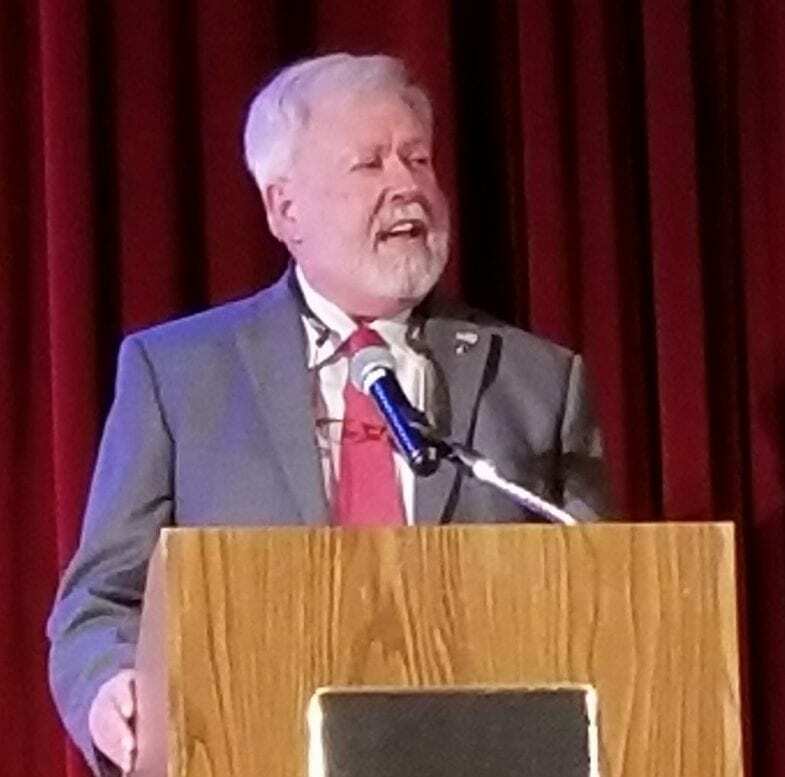 Speaking at the event, Retired Superintendent Ben Arp said, “As I came to know Homer Hefner, I found him to have the traits of a good father.” He shared about Hefner’s lover for Esther, his wife, and how much it meant that Hefner was such a good example in his life. He went on to speak of Hefner’s intensity and dedication through his life and how he took that through Gilmer High School, North Georgia College, and service in the United States Army. Returning to Ellijay after the Army, he came home to Ellijay to serve more through a 38-year career in education. Hefner stretched through many facets of education as he served as a teacher, counselor, administrator, and, eventually, Superintendent. Arp said it was Hefner’s leadership that was an integral part of Gilmer’s success during a changing and challenging time in education. Setting Gilmer as a beacon that many systems looked at and visited to learn from. Also, Hefner received the Citizen of the Year Award in 1999. He was more than an educator as he volunteered in the community and organizations to grow Gilmer as a county alongside the education system. The dedication ceremony also offered remembrance of Hefner with songs from the Ellijay Elementary School Choral students, led by Katie Mayfield, and a special plaque unveiled after the ceremony.